Years ago, at a church service, the minister prayed over me. 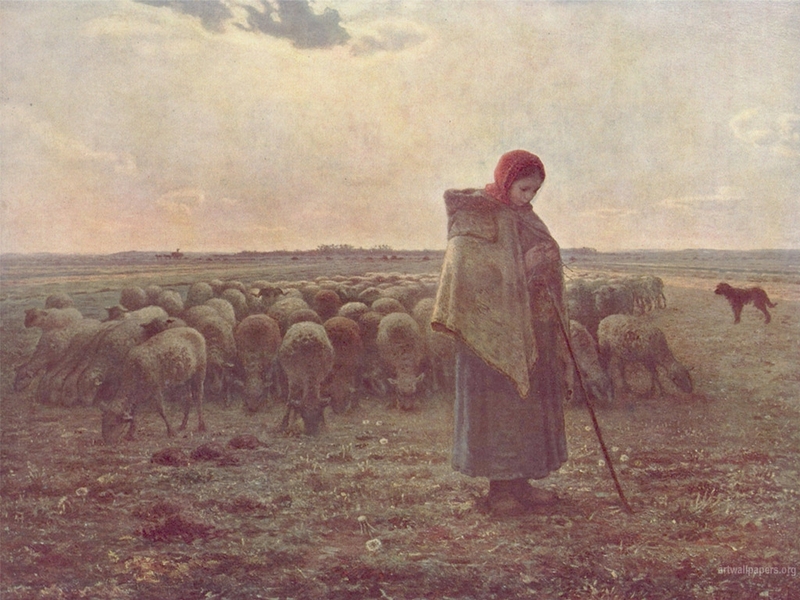 As he prayed he said that he saw me as, and I quote from my journal entry, “a shepherdess, gathering the sheep that have gone the wrong way, bringing them back to the right path.” After church, I wrote it down. I wasn’t, and am still not, too sure of its meaning, but from a mother’s point of view, I certainly feel like a shepherdess. I am always keeping watch over this flock of mine. When the kids were little, we had a chain link fence all around the property at San Pablo. They were not allowed out the gate. For the most part, this worked, they were able to play all around the yard and I kept an eye on them. My adult children still bemoan the memories of “never going out the gate.” Well, when they turn 18, there are not more gates, no more fences; the shepherdess is no longer needed in that role. Four of my kids are out the gate. I am so proud of them too. Even though I have an adult child who lives with me, he stays pretty close to home and doesn’t give this shepherdess’ heart much worry. However, there are some who like to play close to the fence, that imaginary parameter I set for our kids. When they get close, I have to pay attention. As I have gained experience in being a parent, I have adopted a philosophy where I give my kids a lot of freedom within this imaginary yard, if you will. That freedom differs from kid to kid, and of course, gives the appearance of not being fair. (By the way, it will never be fair, ever. Just accept it and move on.) I let Ricky do things I would never let others do because Ricky was so street smart. He outsmarted the buck who chased him from McDonald’s one sunny morning in San Pablo. Ricky was not going to give up the 15 Sausage Muffins. I am so thankful for cell phones. Most of my kids here have one, and that gives them more freedom because I can keep tabs on them. For the most part, they respond to my endless calls and texts. They are good sheep. If you look close at the above painting by Millet, it looks like the shepherdess is actually texting. I don’t know about French laws in the 19th Century whether texting while tending sheep was illegal, but I bet that cute shepherdess was texting the neighbor shepherd, “hey dude, meet me at the well at Angelus.” On the 18th birthday of my baby lamb, this shepherdess is going to put her crook down and take a long nap beside some still waters. I was a little wary of the title, but it does fit the role.